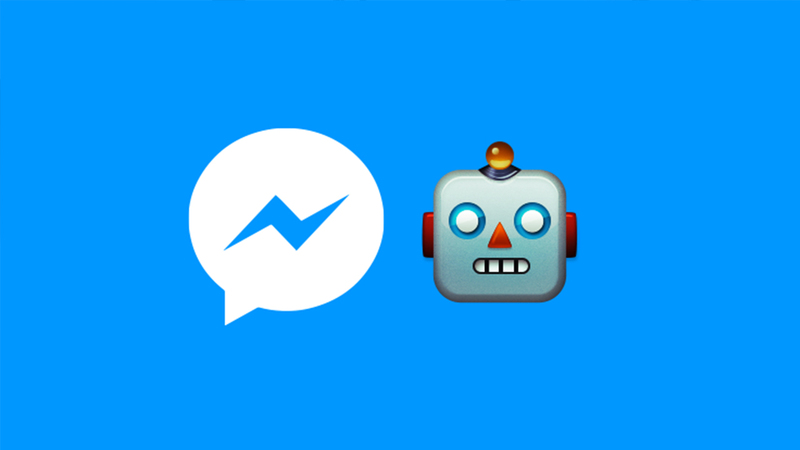 Today I’ll show you how to build your own Facebook Messenger Chat Bot in Java. We’ll use Spark Web Framework, Racter Java Package, Gradle and Ngrok. So Let’s get started. We need install spark framework and set all required third party packages like racter. and Insert the following into our build.gradle file. * This build file was generated by the Gradle 'init' task. * This generated file contains a sample Java Library project to get you started. 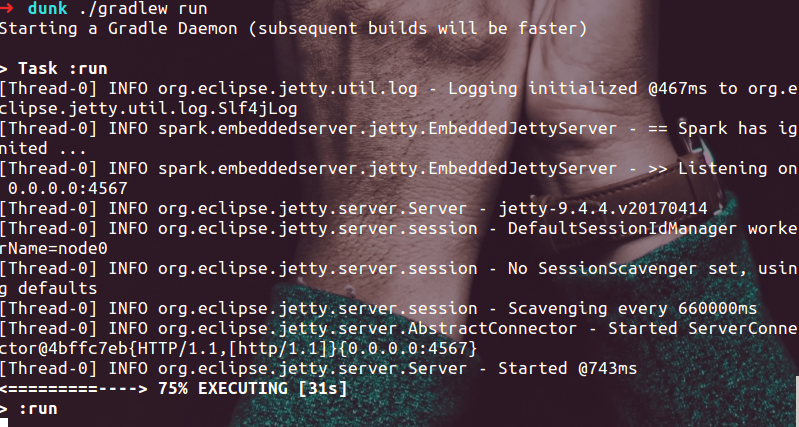 // Use jcenter for resolving your dependencies. Then let’s create our main controller that has 2 end points. The first one is to verify token and the other one to process the inbound messages and events. Then we need to create our config.properties file that contains our facebook app settings and some additional settings for racter package. We need to create a Facebook Page if you don’t already have one because In order to communicate with your chat bot, people will need to go through your page. Go to the Facebook Developer Page and click “Skip and Create App ID” at the top right. Then create a new Facebook App for your chat bot and give your app a name and contact email. You can get the app id and insert that id in config.properties file you created before on java app. 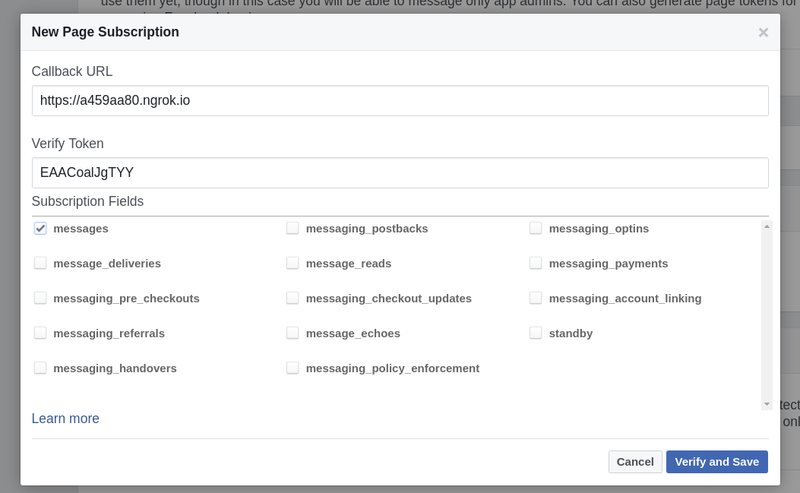 From the Messenger settings for your Facebook App, You can connect your app with the facebook page to get access token. Please note that, You can set Verify Token to be any value and pass that value to our config.properties file and restart our app (Just stop it and run ./gradlew run). After you’ve configured your webhook, Just subscribe to the specific page you want to receive message notifications for. Go to the Facebook Page you created and click on “Message” button. This should open a message pane with your Page. Start sending your Page messages and the bot should reply! To Check The Full Code!. To Check All Features that Racter Supports or Help Us Make it Much More Better!